ST. GEORGE — The St. George Wine Club – a registered nonprofit organization – recently announced it topped its first year of charitable giving to local arts and education programs by $2,500 over last year. For fiscal year 2016-2017, which ended on June 30, the club returned a total of $12,500 to the greater St. George community. Thanks to donations made by club members at each monthly social, the Wine Club was able to offer “mini-grants” ranging from $500 to $1,000 to such organizations as the Kayenta Arts Foundation, the Elks Scholarship Foundation, the DiFiore Center for Arts and Education and ZION Music Ensembles. Additionally, the club funded a $1,000 visual arts scholarship at Dixie State University’s College of the Arts, established five smaller scholarships for DSU arts students and contributed to DSU’s Raging Red performing group. The sum total of these efforts was $9,500. Another $3,000 was distributed to performing artists at socials throughout the year, bringing the total giving to the visual and performing arts and education community to $12,500. “We are elated that our members continue to give so generously to these worthy causes,” Doug Hamilton said. Hamilton, along with his wife, Marianne, assumed responsibility for the leadership of the Wine Club from founder Phil Loomis in August of 2014. As a former middle school biology teacher, Doug Hamilton said he has always been a passionate proponent of education. Each month, from September through June, the St. George Wine Club gathers at various Washington County venues to socialize and enjoy live entertainment. In February, they held their meeting at the Eccles Fine Arts Center, the first time the club had held a meeting on the Dixie State campus. 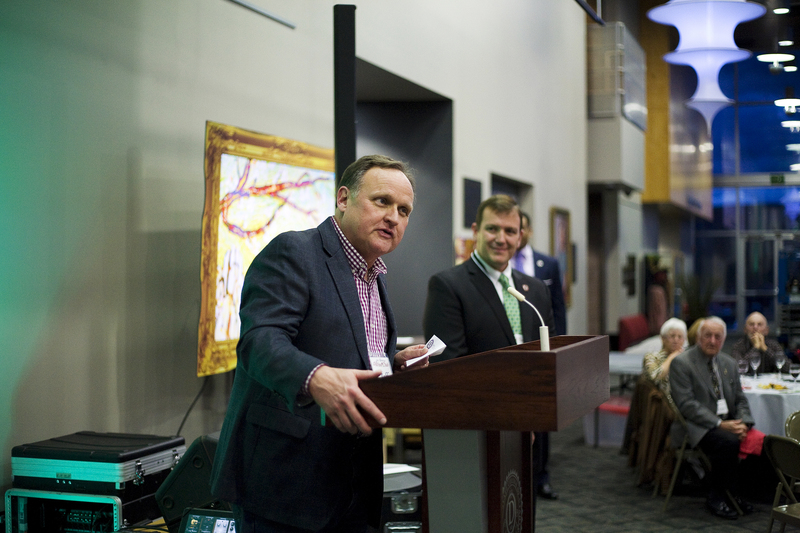 President Dr. Richard Williams and Provost Michael Lacourse were on hand to greet attendees. We have found that most club members also share our deep passion for the arts, both visual and performing. … DSU, and our Art Department, have been fortunate to receive generous contributions for a scholarship fund for art students. These scholarship funds enable talented student artists – who otherwise are unable to make college work financially – to reach their dreams through our art program. At each wine club gathering, members share pot luck appetizers and their favorite vintages, with a requested $10 donation directed toward the event’s performers and the month’s selected charity. Mankey added that the club is also just a great way for community members to connect with each other, especially those new to the area. Since its founding by Loomis and his wife in 2011 as a casual means for a few friends to gather over adult beverages, the St. George Wine Club’s member rolls have seen steady growth. At present, nearly 1,700 local residents and out-of-staters hold membership. Doug Hamilton said they receive requests for information about the club year-round. Ernie Doose, CEO of Artistic Resource for Teachers and Students, oversees the delivery of professional arts programming to K-6 students in more than 250 schools across the state of Utah each year. 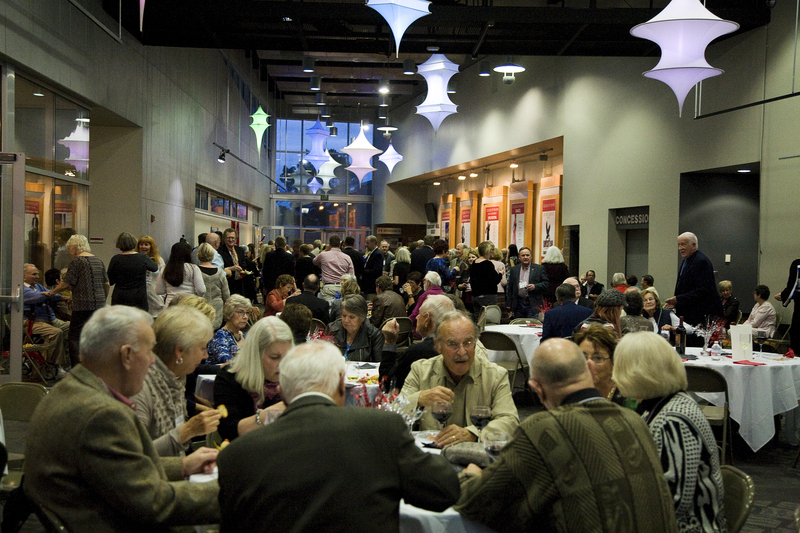 Doose, who is also the executive director of the Roene B. DiFiore Center for Arts and Education, said he believes St. George Wine Club members are making a significant impact on the arts and education landscape in Southern Utah. The St. George Wine Club is currently on summer hiatus and will resume its socials in September. For more information, visit the St. George Wine Club website, Facebook page, or email info@stgeorgewineclub.org. Hopefully all had designated drivers.